Historic and contemporary images of Romanian, Portuguese, French, and Balkan spinners show a similar style. Seeing so many representations of this technique made me want to try. 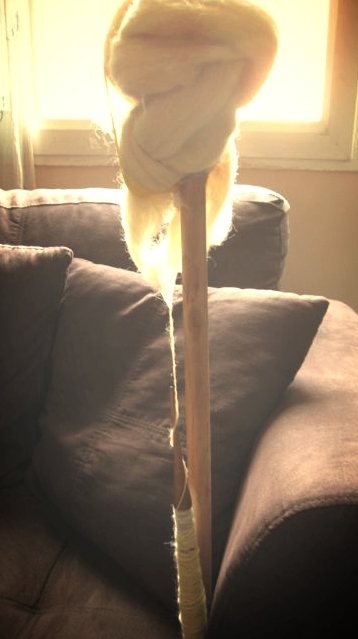 I'm not very good at it, but recently I've changed the type of wool I'm using, and I have the good fortune to try out a vintage Serbian spindle, which is very inspiring. For some reason, this arrangement attracts me. When I see the distaff and spindle, I want to spin.